Bloemfontein was the first significant camp to be established and it was not typical of most camps. It was one of the largest, larger in fact than the town of Bloemfontein, which had a recorded population of 3,379 in 1890. Because it was used as a holding camp, it had a constantly changing population. Water supply and health were a never-ending struggle since the British army made heavy demands on the limited supply of water and the soldiers had brought a severe typhoid epidemic into the town. Above all, it never had a really competent superintendent. Nevertheless, it was by no means the worst camp in the system and it was under the direct eye of the central camp administration. The pattern of deaths in Bloemfontein camp was unusual in that, although there were two peaks, mortality did not decline at all until 1902. Such a long duration was rare for many camps had only a brief period of high mortality. A second feature was the early onset of the epidemic, long before measles attacked most of the camps. Like Bethulie the second wave of mortality was even more severe than the first. This is not surprising in a town which was riddled with typhoid. Interestingly, the graph showing the death rates suggest that Bloemfontein was less unhealthy than some other camps, for the average death rate was lower than that of the camp average, apart from the early epidemic. Adult mortality was relatively high, a result of the typhoid which riddled the camp and the town. The most famous inmate of Bloemfontein camp was a little girl, Lizzie van Zyl, who died in May 1901. Her photograph, of a skeletal child clutching her doll, has become the symbol of the inhumanity of the camp system and appears in almost every book about the camps, but her death also became a political football. Probably the full story will never be known but it is worth looking more carefully at her. The Bloemfontein camp registers were not well kept but the most likely candidate was Elizabeth Cecilia, from Twistniet farm, Ventersburg. Note that her hair had been cut, a common practice when children had high fevers.14 . She was seven years old when she died, of typhoid fever, on 9 May 1901. Lizzie was one of seven children, from a bywoner family, whose father was on commando. Her 31-year-old mother had much to cope with and Lizzie was not the only member of the family to die. Her brother, Hermanus Egbert, died of the terrible cancrum oris, in March 1902, and a sister, Hester Wilhelmina, may have died as well, in February 1902. For Emily Hobhouse, Lizzie was the archetypal suffering child, the consequence of an inhumane system; the British authorities suggested that she died because of her mother’s neglect. The British academic, Liz Stanley, has examined part of Lizzie’s story and points out that Lizzie’s death was not seen as unusual at the time. It came to public notice because Emily Hobhouse published her picture as an example of the horrors of the camp system. Dr Pern indignantly defended himself in the British press, asserting that the mother had neglected the child and Hobhouse replied with equal force, arguing that the child’s death was the product of unsuitable food and great heat. From that point, Lizzie’s story has been used and abused repeatedly. E.H. Hobhouse, The Brunt of the War and Where it Fell (London, Methuen, 1902). E.H. Hobhouse, War Without Glamour (Bloemfontein, Nasionale Pers, 1924). E.H. Hobhouse, Emily Hobhouse. Boer War Letters, ed by R. van Reenen (Cape Town, Human & Rousseau, 1984). L. Stanley, Mourning Becomes . . . Post/Memory, Commemoration and the Concentration Camps of the South African War (Manchester, Manchester University Press, 2006). E. van Heyningen, ‘Women and disease. The clash of medical cultures in the concentration camps of the South African War’ in Writing a Wider War. Rethinking Gender, Race, and Identity in the South African War, 1899-1902 edited by G. Cuthbertson et al (Athens, Ohio University Press and Cape Town, David Philip, 2002), pp. 186-212. CO and SRC files in the Free State Archives Repository [FSAR]. FK files in the National Archives Repository, Pretoria [NASA]. CO files in the National Archives, United Kingdom [NAUK]. Dr Kendal Franks report, Cd 934, pp. 2-9. Ladies Committee report, Cd 893, pp. 39-45. 1 FSAR, SRC 8/2894, 24/6/1901. 2 Spies, Methods of Barbarism, pp. 149-151; NASA, FK 781, p.299 from CO 48/548, vol 2; van Reenen, Letters, p.49-53; FSAR, SRC 4/788, 23/3/1901; SRC 5/1143, 15/4/1901; SRC 11/4233, 17/8/1901. 3 Hobhouse, Brunt of the War, pp. 61, 65. 4 van Reenen, Letters, pp. 49, 64. 5 van Reenen, Letters, p. 68. 6 FSAR, SRC 2/479, 4/3/1901. 7 FSAR, CO 25 2266/01, 17/4/1901. 8 FSAR, SRC 3/597, 15/3/1901; SRC 3/606, 16/3/1901; SRC 3/704, 21/3/1901; SRC 4/833, 27/3/1901; SRC 5/1263, 4/4/1901. 9 FSAR, SRC 3/557, 14/3/1901. 10 FSAR, CO 25 2266/01, 17/4/1901. 11 FSAR, SRC 1/15a, 15/2/1901; SRC 2/479, 16/2/1901; SRC 5/1353, 14/4/1901; van Reenen, Letters, p. 77. 12 Hobhouse, War Without Glamour, pp. 126-129. 13 van Heyningen, ‘Women and disease. 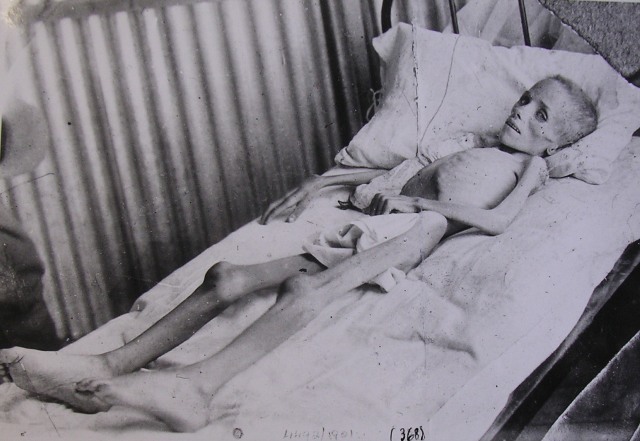 The clash of medical cultures in the concentration camps of the South African War’. 15 Stanley, Mourning Becomes, pp. 129-131; Hobhouse, Brunt of the War, p. 213; FSAR, SRC 71, p.20; SRC 7/1918; SRC 17/6748; Government Gazette of the ORC, 17/5/1901, p. 194; NAR, RS 30, p. 353; NAUK, CO 879/73/682, 12/3/1902, p. 100. 16 FSAR, SRC 7/2240, 30/5/1901; SRC 8/2701, June 1901; SRC 8/2569, 1/6/1901; SRC 8/2894, 24/6/1901; SRC 10/3809, 27/7/1901. 17 The Lancet, 24/8/1901, p. 523. 18 FSAR, SRC 11/4178, 15/8/1901; Cd 819, pp. 79-82. 19 Hobhouse, Brunt of the War, p.196; FSAR, SRC 15/5706, 23/10/1901; SRC 17/6665, 28/11/1901; SRC 16/6350, 28/11/1901; SRC 13/4726, 1/9/1901; Cd 943, p. 3. 20 Hobhouse, War Without Glamour, pp. 121-122; FSAR, SRC 3/520, 11/3/1901; SRC 10/3574, 24/7/1901; SRC 30/10092, 20/10/1902. 21 FSAR, SRC 1/11, 16/2/1901; SRC 4/1107, 8/4/1901. 22 FSAR, SRC 1/147, 23/2/1901; SRC 5/1252, 13/4/1901; SRC 11/4123, 13/8/1901; SRC 6/1739, 4/5/1901. 23 FSAR, SRC 2/372, 1/3/1901; SRC 2/406, 2/3/1901; SRC 1/157, 23/2/1901; SRC 3/625, 16/3/1901; SRC 3/770, 23/3/1901. 24 FSAR, SRC 5/1121, 3/4/1901. 25 NASA, A 2030/66 citing RC 10337, 21/11/1902. 26 van Reenen, Letters, p.68; FSAR, SRC 17/6946, 11/12/1901; SRC 3/690, 20/3/1901; Cd 893, p. 41. 27 Cd 893, pp. 39-45. 28 Cd 934, pp. 2-9. 29 FSAR, SRC 28/9738, 1/9/1902; SRC 30/10195, 6/11/1901; SRC 30/10272, 13/11/1902; SRC 33/10775, 23/2/1903. Acknowledgments: The project was funded by the Wellcome Trust, which is not responsible for the contents of the database. The help of the following research assistants is gratefully acknowledged: Ryna Boshoff, Murray Gorman, Janie Grobler, Marelize Grobler, Luke Humby, Clare O’Reilly Jacomina Roose, Elsa Strydom, Mary van Blerk. Thanks also go to Peter Dennis for the design of the original database and to Dr Iain Smith, co-grantholder.